Partly cloudy skies early. Thunderstorms developing late. Low 57F. Winds SW at 15 to 25 mph. Chance of rain 80%.. Partly cloudy skies early. Thunderstorms developing late. Low 57F. Winds SW at 15 to 25 mph. Chance of rain 80%. CROWN POINT, IN - Elizabeth "Betty" Morgavan, age 88 of Crown Point, passed away on Monday, February 11, 2019 with her family by her side. She is survived by her children Helen (Dave) Batusic, Ray Morgovan, Elizabeth (Paul) Kyriakides; six grandchildren: Lisa (Chris) Westforth, Jim and John Batusic; Marc, Julia, and Steven Kyriakides; three-great grandchildren: Cayden, Callie and Vinny Westforth; sister, Anna (late Andy) Lieber; sister-in-law, Betty (late John) Chelich. Preceded in death by husband, Vincent; parents, George and Vica Chelich. Betty was Past President of the Croatian Fraternal Union Lodge 170 and first female president in the country. Her greatest accomplishment was building chairwoman of their new Croatian home in Merrillville. She served as a National Officer with the CFU Board of Directors for 12 years and sold insurance for the CFU for 50 years. Betty was Managing Director of the Gary Junior Tamburitzans and taught tambura to hundreds of young music students. In 1973 she took them on a an extensive three-week concert tour through Croatia. Betty was also a longtime member of St. Joseph the Worker and Croatian Glee Club Preradovic; she was a graduate of Lew Wallace High School. She coached CYO basketball and was a deputy clerk in the Lake County Clerk's office. 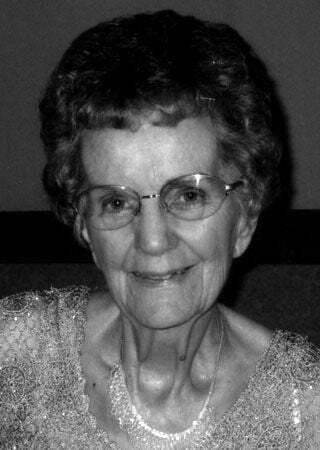 Her greatest enjoyment was her six grandchildren and great grandchildren, and she relished in their many accomplishments. Betty lived a rich full life and will be greatly missed. Family and friends may call at PRUZIN & LITTLE FUNERAL SERVICE, 811 E. Franciscan Dr., Crown Point, Friday, February 15, 2019 from 2:00 to 8:00 p.m. A Mass of Christian Burial will start directly at noon Saturday, February 16, 2019 at St. Mary Catholic Church, 321 E. Joliet St. with Rev. Pat Kalich officiating. Cremation to follow services. In lieu of flowers, memorials to the Tamburitzans of Pittsburgh PA, formerly “DuquesneTamburitzans”, as she strongly believed in the perpetuation of the many ethnic cultures the Tamburitzans exemplify.